While I’m making my way east, enjoy this tale of disgusting activities all in the name of a prize and err, honor. 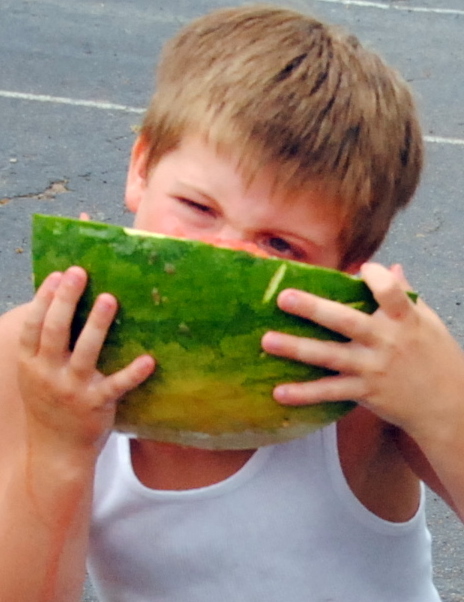 The Watermelon Carnival is Water Valley, Mississippi’s most prized annual celebration (that’s what the website says). Bless their hearts. The site also asserts that an estimated 20,000 people attend the various events. Perhaps over the carnival’s history since 1931, but absolutely not in a single weekend. If that’s how they count then we have further evidence of how they achieve their standings in U.S. Education rankings. Politicians were in full evangelizing force. And despite the carnival being held between white and black neighborhoods, this festival was not integrated. Perhaps the politicians should add that to their agenda? I went full force for the festival experience. Pancake breakfast at the Lions Club. Overheated and relaxed at the EMT tent where they said my hat used to be a sombrero and also overheated so it shrunk. Went to the starlight street dance. Saw the fireworks. Was presumed by everyone as the event photographer. Basically, I blended. 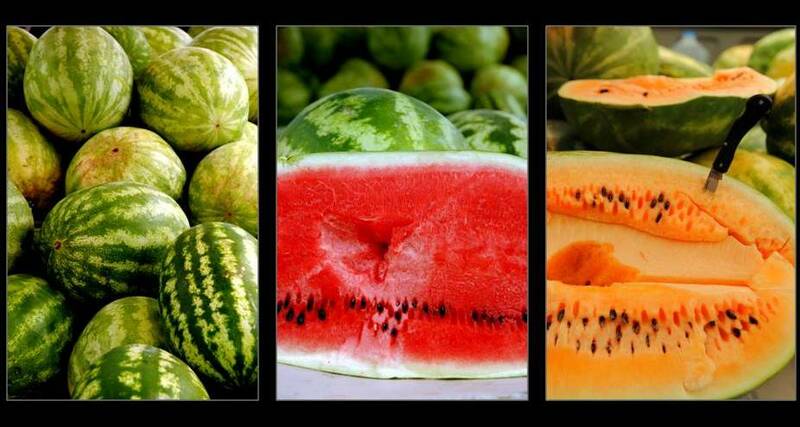 Fun Facts: It takes 90 days to grow a watermelon from seed to harvest. One farmer pulled 4,000 melons for the festival. Why? Because he had them and he could. Now this was a site to behold. And to be-stand a few steps away from. There’s not much chewing necessary, which is good for all eating contests, and an innate bonus for watermelon. It should really be called a slurping contest. They plowed from side to side like it was a typewriter-ear-of-corn-hybrid and in a matter of minutes a quarter melon was gone. Just slush at their feet and goo on their faces. And if you weren’t sure if competitive spirit was still alive, it’s thriving in Water Valley, MS. They went at those melons like there was more at stake than a measly prize. Have you ever been in an eating contest? Have you ever participated in a seed-spitting content? I am as serious as a heart attack when I saw that watermelon could be the perfect food. Especially when paired with a saltine cracker, (try it before you get that incredulous look on your face) you get crunchy, crispy, sweet, salty and juicy at the same time. Including the seeds. Plough through watermelon as fast as possible? And then spit? Tsk, everybody’s just gotta be special somehow. On the other hand, the seed spitters are probably looking at me and my crackers with utter disgust. Jeannine – the joys of being Southern! Have you ever put a peppermint stick in a lemon and sucked the juice? De-light-ful! The first slideshow contained a Wal Mart worthy mullet. I may never eat another bite of watermelon. I’m thinking that the politicians who were there were from a gerrymandered safe red district and this GOP reaching out to minorities idea (after the RNC post election autopsy) is a bust from what I can tell. But, I’m trying to keep my blog apolitical, so if I’ve sullied yours, feel free to delete this comment. Suzanne, An AfAm friend educated me about the racist affiliation between blacks and watermelons. Pickannanies, while portrayed with happy faces, were disparaging about Negroes and their watermelon smiles–wide, red gums. And how they loved watermelon–wouldn’t you after a day working in the fields. So the lack of AfAm folks at the festival could be cultural and historical. Ah, life. So complex. And it’s just yummy melon. Oops, my comment posted itself before I was finished. I was just going to add that since they thought you were the official event photographer anyway and you took some nice photos, maybe you should submit an article to the local newspaper—omitting the political snark. Suzanne – good idea. Maybe I will. Yes, I have had lemon juice through a peppermint stick. Yes, it IS delightful! No, I didn’t know it was southern. Chalk up one more good thing from the south.